From left: Attorney Tamarah Parson-Smalls, BIR Director Marvin Pickering, Governor Kenneth Mapp, Commissioner of Tourism Beverly Nicholson-Doty, and Shawn Sullivan and Carlos Muñoz of Airbnb at Friday's press conference on St. Thomas. 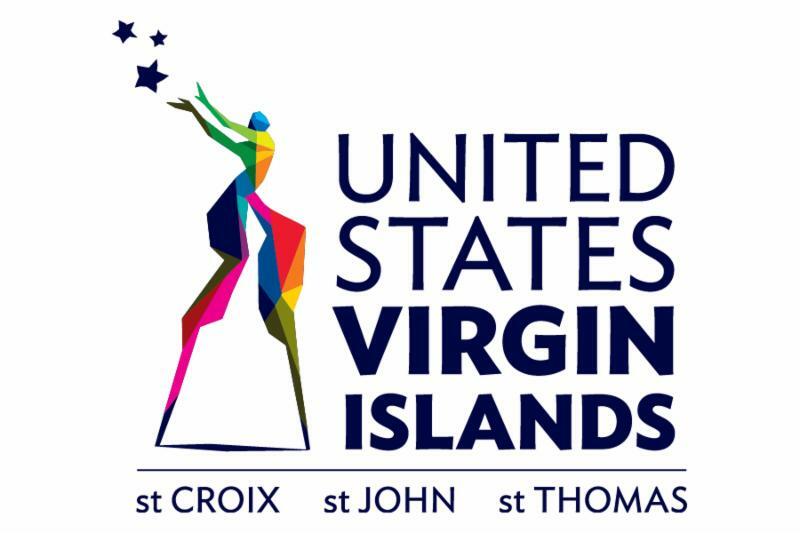 U.S. VIRGIN ISLANDS (May 22, 2017) - The Government of the United States Virgin Islands and Airbnb have confirmed the first tax agreement in the Caribbean, which will allow the platform to collect the Territory's 12.5 percent Hotel Room Occupancy Tax on behalf of hosts and remit the funds to the Virgin Islands Bureau of Internal Revenue (BIR). 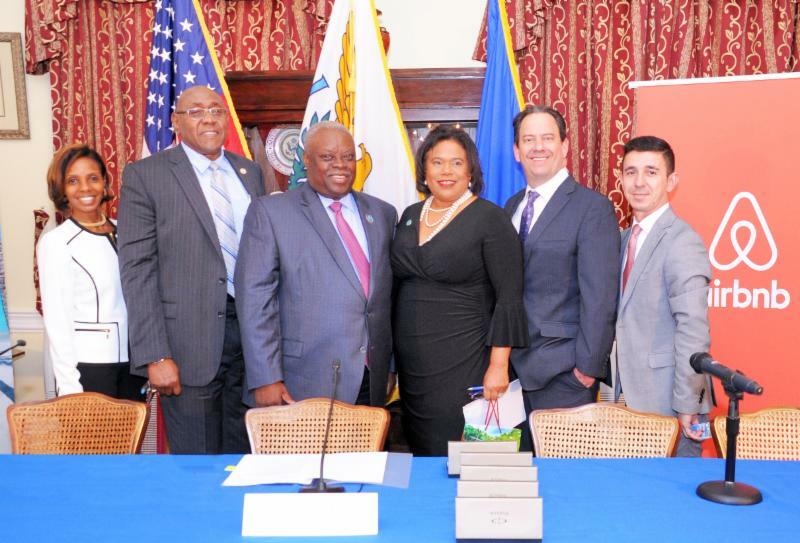 The agreement will also create a framework to help promote tourism to the U.S. Virgin Islands, highlighting the cultural and historical heritage of this world-class destination. Airbnb has been investing in partnerships in the region to support a thriving community of homeowners who are renting their spaces and creating new flows of local economic benefits. Agreements have been signed with several countries and with the Caribbean Tourism Organization (CTO) to create policy frameworks for this growing hospitality trend of home sharing. Today's announcement spearheads the company's efforts in the Caribbean to collect and remit lodging taxes on behalf of hosts, allowing hosts to comply and give back to their communities. 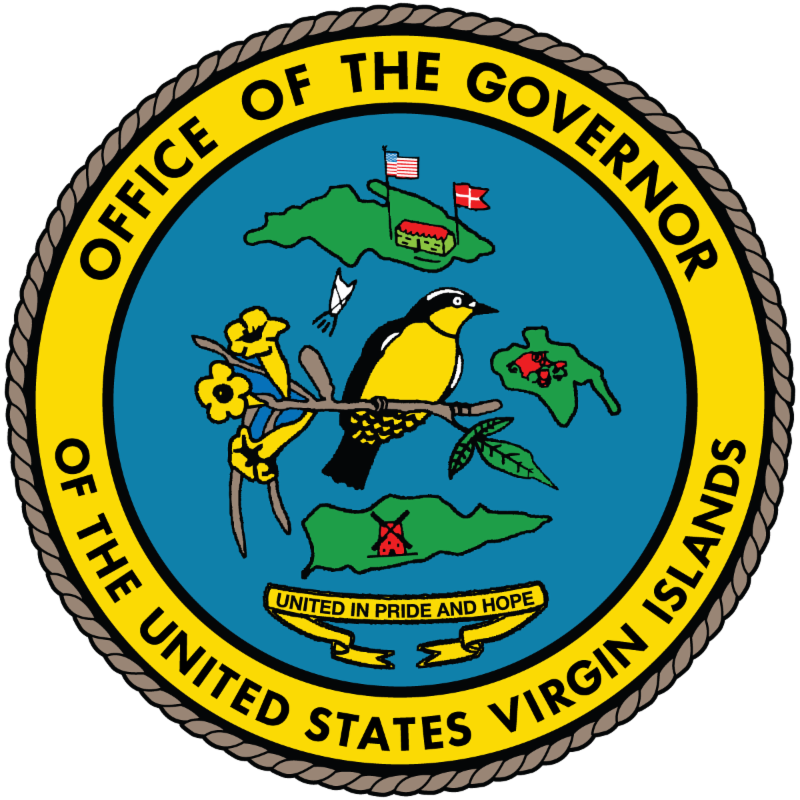 The Governor of the U.S. Virgin Islands, Kenneth E. Mapp, supported the agreement and noted that locals will increase their participation in the economic benefits of tourism. "This is good for our Government because it streamlines the collection process and enables more of our residents to participate in the visitor industry. Our hospitality sector will also greatly benefit from the promotional reach of this multibillion-dollar organization," Mapp said. The agreement with Airbnb is a component of the Mapp-Potter Administration's Five Year Plan to fully restore economic stability to the V.I. Government through economic growth, increased revenue collection and better resource management. It will help improve and diversify the tourism industry and create unique experiences for and by the locals of St. Croix, St. John and St. Thomas and their visitors. Airbnb has about 2,000 active listings across the U.S. Virgin Islands and a typical Airbnb host earns US$7,700 a year. "Airbnb represents a supplemental income, which helps families pay their bills and improve their quality of life. As local hosts bring more tourism to the region, visitors get to know the country from an organic and more authentic point of view, spending in local businesses and services, as well as encouraging others to visit the islands as a result of their positive experience," said Shawn Sullivan, Airbnb's Public Policy Manager for the Caribbean and Central America. Local authorities also pointed to the importance of the growth and diversification of tourism to the island and the improvement of tax collection for both hosts and government. "This agreement brings to the table a well-resourced partner to help with our efforts to attract people to our islands," observed Commissioner of Tourism Beverly Nicholson-Doty. 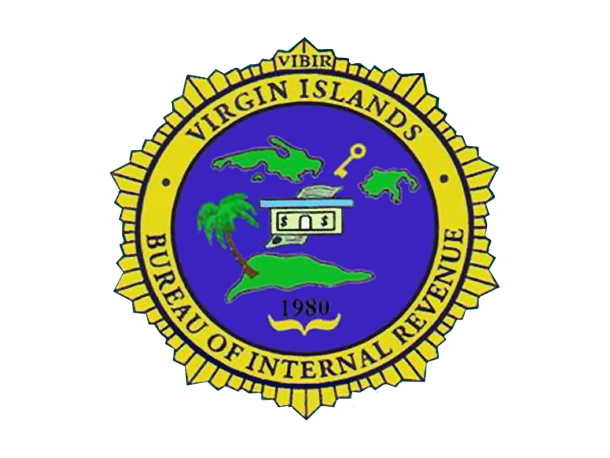 Marvin Pickering, Director of the Virgin Islands Bureau of Internal Revenue, said the additional revenue would be beneficial for the treasury. "This voluntary collection agreement for the hotel room tax provides the bureau with an additional resource to ensure that the tax is collected and remitted in a timely manner. 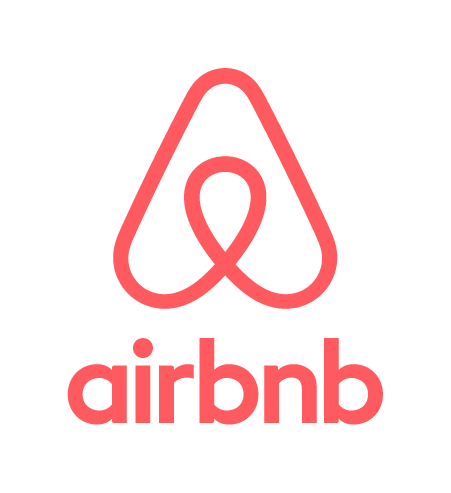 We look forward to pursuing this additional avenue of increasing the tax revenue from Airbnb hosts as they participate in our Territory's tax regime by fulfilling their filing and payment obligations."